We are very excited to announce the release of the T-REX (Token for Regulated EXchanges). The purpose of T-REX is to allow for the issuance of security tokens on a blockchain infrastructure and the subsequent transfer in a compliant way, with a particular focus on KYC and AML regulations. T-REX is comprised of three key pillars, the identity management system, a set of validation certificates and the transfer manager. Whilst attracting a lot of attention and interest, the security tokens industry is still in its infancy. The need for standardization and respect of compliance standards applying in the securities industry is essential if the ecosystem is to develop and gain mass adoption. Key to this is building a community that can contribute to the continuous development of tools on the blockchain. 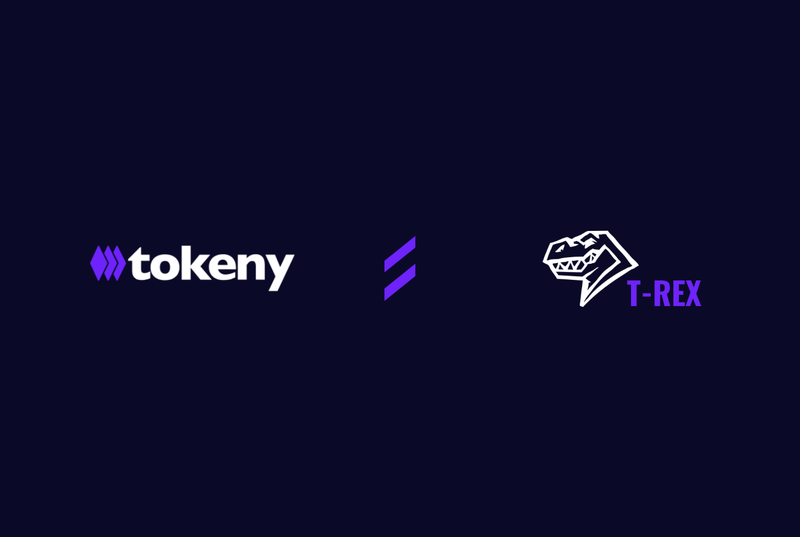 With this in mind, we’ve taken the decision to remain completely transparent about what we do at Tokeny and ensure the T-REX standard is completely open source. Blockchain technology was created with the vision of having a decentralized source of truth. By creating our set of standards and sharing them publicly we are staying true to this vision. Why did we create the T-REX? To take a step back, assets, such as equity, funds, bonds or commodities can be represented by — or issued as — tokens on the blockchain. There are significant advantages in doing this process on-chain as opposed to traditional finance methods. For example, many processes that are carried out today by middlemen can be automated through the use of smart contracts. This, in turn, reduces operational costs and enables a greater transfer speed of ownership. The ICO boom of the last two years represented a new way to transfer value and illustrated a great technological advancement. However, due to a lack of regulation, scandal and fraudulent activity was rife. Security tokens, to the contrary, should be considered as securities with all relevant securities laws applying. Having developed and released the T-REX, we are sharing a set of tools that leverages the technological advancement of blockchain whilst also ensuring this is done in a compliant and regulated way. The T-REX is the only token standard including an identity management system to control the transfer of securities ownership on the blockchain. How does this affect the tokenization ecosystem? Every actor in the current ecosystem has a role to play in the T-REX token lifecycle. The investor’s on-chain identities are enriched with data issued by trusted third parties such as KYC or AML providers. At the same time, investor’s retain full control of their identity contracts and can use these for other purposes requiring authentication. For exchanges, the decentralized validator system can be used easily. Issuers can be sure that their security is made available in respect to all the applicable regulations and that such compliance is embedded in the process to hold and transfer the token. Issuers remain in complete control of the token contracts, including those related to compliance, giving them the ability to change the transfer eligibility rules and follow legislative reforms dynamically. The legal framework around tokenized securities is currently debated in many countries and is expected to be subject to changes in a short to mid-term future. In this light, the T-REX standard was built in a versatile fashion and allows the contract owner (i.e. the company issuing the token) to change the compliance rules for transfers at any time. For more details about the T-REX standard, please read our official announcement, white paper, for technical details and implementation, please visit our GitHub. Looking forward to hearing your thoughts on T-REX.